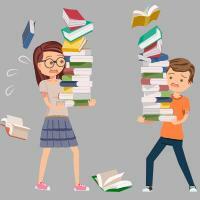 Experts such as child psychologists have repeatedly warned that the stress caused by tuition can lead to a host of problems, ranging from depression to a loss of interest in learning. While many parents are aware of the downside behind too many extra classes, many still feel compelled to send their children to these programmes to ensure that they stay afloat in Singapore’s competitive education system. Mr Koh noted that Singapore’s addiction to tuition has arisen due to a confluence of factors: Parents with high expectations, pressure from society and the competition to get into the so-called “elite” schools that are perceived to give individuals a head start in life. Read the rest of the article here.